Balancing theoretical analysis and practical advice, this book describes all the underlying principles required to build high performance indoor optical wireless communication (OWC) systems based on visible and infrared light, alongside essential techniques for optimising systems by maximising throughput, reducing hardware complexity and measuring performance effectively. It provides a comprehensive analysis of information rate-, spectral- and power-efficiencies for single and multi-carrier transmission schemes, and a novel analysis of non-linear signal distortion, enabling the use of off-the-shelf LED technology. Other topics covered include cellular network throughput and coverage, static resource partitioning and dynamic interference-aware scheduling, realistic light propagation modelling, OFDM, optical MIMO transmission and nonlinearity modelling. 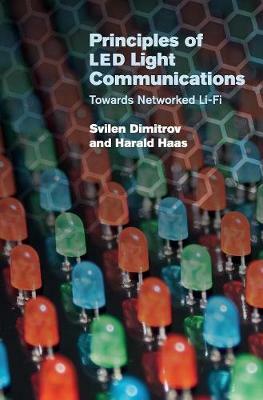 Covering practical techniques for building indoor optical wireless cellular networks supporting multiple users and guidelines for 5G cellular system studies, in addition to physical layer issues, this is an indispensable resource for academic researchers, professional engineers and graduate students working in optical communications.